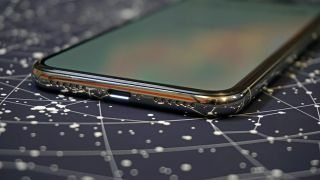 A happy Monday to you and welcome to another round up of the most important tech happenings of the last day or so, thanks to our friends at TechRadar. Today we're covering the whole gamut from new smartphone rumours to a surprise movie launch on Netflix. 1. How safe is the Amazon Key smart lock system? Amazon is trialling a new Amazon Key system that is smart enough to let your Amazon delivery person into your home to save them having to leave a package on your doorstep. All well and good, you might think, but a new hacking method has been demonstrated that could give anyone access to your home by using a delivery code after it's expired. Amazon will want to patch this pretty quickly, but hasn't responded to the hack as of yet. We love smartphones, and we love Nokia gear, and so we're pleased to be able to bring you details of another forthcoming mobile with the label of the Nokia 7 Plus. This almost-flagship phone has a 6-inch screen, a dual-sensor camera, 4GB of RAM and a Snapdragon 660 CPU inside, according to a major leak, making it a very appealing proposition in our book. It also comes with Android 8.0 Oreo running on board. Bitcoin is the super-volatile cryptocurrency of the moment, and now UK banks are following the example set by their US counterparts in preventing customers from buying Bitcoins with credit cards. Lloyds Bank is the first company in the UK to put the restriction in place, which is designed to stop people from buying cryptocurrency with money they don't have – and which they might struggle to play back if the price of Bitcoin plunges. The iPhone X may well be one of the most expensive and most lusted-after smartphones of the moment, but it seems it might be struggling with one very basic task – receiving phone calls. Apple says it's currently investigating numerous reports of delays and other problems with incoming calls, which seem to be irking many users on the Apple support forums. As yet there's no word if this is a genuine bug or when a fix might be rolled out. Who needs a hype cycle anyway? Netflix used the Super Bowl ad slots to both announce a brand new movie based in the Cloverfield universe and to let everyone know that it's immediately available to stream – so yesterday we knew nothing about The Cloverfield Paradox, and today anyone with a Netflix subscription can watch it. The film looks like something of an origin story, with plenty of jumps and scares happening in deep space.